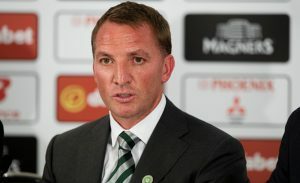 How This Celtic Midfielder Has Turned Out To Be The Best Player For Rodgers? If one thinks about the best player from Celtic, the names which usually come to mind are Kieran Tierney or James Forrest or Scott Brown. However, there is one man who has taken away the prize for that this season and that is Callum McGregor. The midfielder has already played a whopping 50 games in all competitions so far, and we still have some way to go until the end of the season. One of McGregor’s greatest asset is his consistency. He has hardly had a bad game in a Celtic shirt this season. The midfielder started this campaign playing on the left flank but has now moved to a deeper role in midfield. Moreover, McGregor has even filled in as a left back as well this term. Most of the build-up from midfield comes from Mcgregor’s side, and his ability to pick out a killer pass in the final third is second to none in the Scottish Premiership. The Scotsman works hard for his team and has a high level of fitness which has allowed him to play in so many games this season. Reports (The Sun) in December came out that Bournemouth would target him in January and were valuing the 25-year-old at £10m. Given the current market, we believe McGregor can fetch a much higher fee on the evidence of his performances this season. 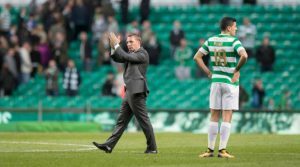 Celtic are going to find it hard to keep hold of him especially if a heavyweight club comes calling for his services in the summer. What makes the Scottish international even more special is that he has come up from Celtic’s academy and is a boyhood Celtic fan. Therefore that might be pivotal in keeping hold of him in the future as McGregor is a boyhood Celtic fan. He has already been part of four Premiership title triumphs and a fifth one looks very much on the cards as well. 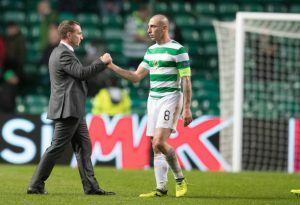 There is a real chance that the midfielder is leading the race to win Celtic’s player of the season award and there is no doubt that McGregor would continue to play a crucial role in the second half of the season going forward. 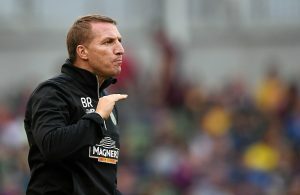 Rodgers Favourite To Take The Top Job At Aston Villa: Should Celtic Fans Be Worried? Former Liverpool Main Man Linked With The Top Job At Arsenal: Will He Be The Right Man For Them?